I find it interesting that those of a more rightist bent approach all issues with a money mindset directly out of the gate. 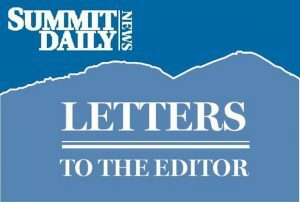 I refer specifically to Debra Irvine’s recent letter to the Summit Daily regarding Amendment 69 (the ColoradoCare initiative) that was all about supposed costs. Not a word about compassion, caring, empathy, etc. … just money. There are so many flaws in Ms. Irvine’s arguments against the proposal that there isn’t room here to address them all. However, I would strongly suggest that my fellow Summit County residents attend the informational meeting at 6:30 p.m. on Tuesday, June 22 at the Community & Senior Center in Frisco. By doing so, one can get all their questions addressed and make an informed decision regarding this important matter. Finally, it would be really terrific if Ms. Irvine and her ilk would stop beating up on the health-care ideas of others and provide some original answers of their own to this horrible healthcare malaise that many Coloradoans are currently experiencing.